Theodore Veterinary Hospital is a full-service veterinary medical facility in Theodore, Alabama which is located in the Greater Mobile area. We are committed to providing outstanding veterinary care, promoting responsible pet ownership and educating our clients in the area of preventative health care. We offer high-tech veterinary care and are our area's leader in Laparoscopic and Minimally Invasive Surgery, Digital Radiography, Ultrasound Diagnostics, Laser Surgery, and Laser Therapy. We invite you to explore our member page here and to visit our primary home on the web at www.theodoreveterinaryhospital.com. 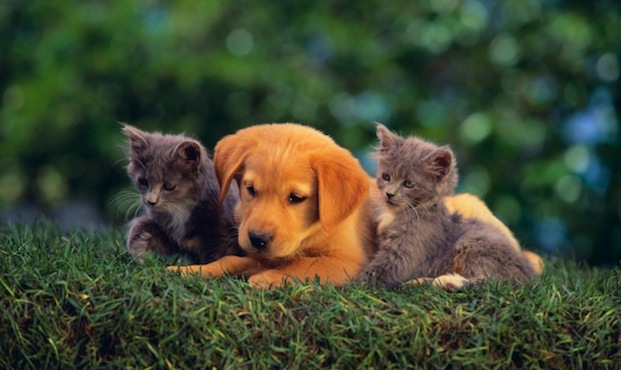 Theodore Veterinary Hospital is dedicated to high quality medical and surgical care for your cherished pet in a clean, attractive and comfortable environment. We strive for a compassionate and empathetic doctor-client-patient relationship built on trust, honesty, and integrity. Arizona doing her favorite thing; going for a car ride. COME ON, MOM..... THROW IT!! This is my Cane Corso, Kiaha, at 7 months old, weighing 66lbs. This is our puppup. We didn't plan on getting an animal but fell in love with her the day we saw her at pet smart. Now we couldn't see going a day without having her in our family!